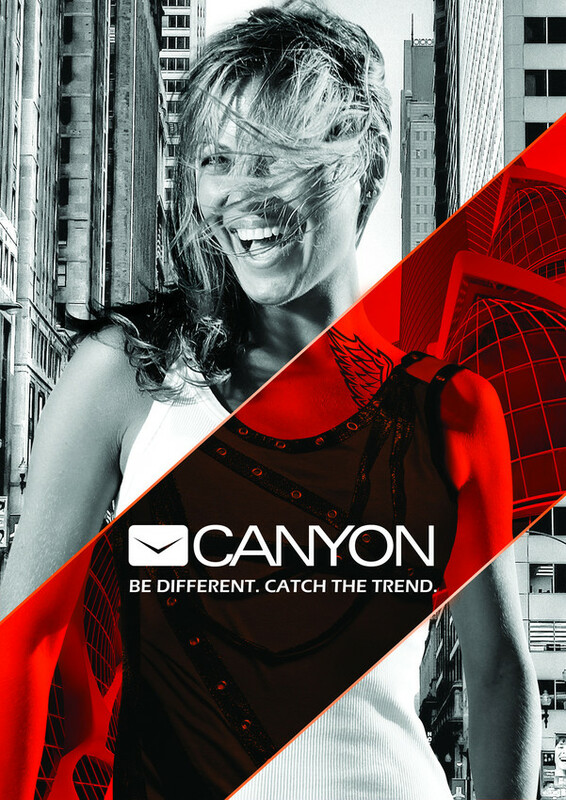 Canyon is a dynamic lifestyle worldwide brand that offers a wide range of stylish and trendy multimedia, mobile accessories, and computer peripherals designed for youth. Canyon is in business of bringing extraordinary design into every element of its products. Created in line with latest fashion trends the cutting edge accessories from Canyon help young people to express themselves and underline their individuality. Feel free to be different and change your identities. Don’t get stuck in subcultures – create harmony with people around you! Be self-assured with your modern and stylish look that fits into the latest trends. And don’t forget to use your imagination! Canyon products are designed for those who follow modern trends and know how to be modern and stylish. Our mission is to fill their image up. Canyon highly values social life, self-actualisation and freedom. Adaptiveness and ability to get in touch with different people is the key to success in the modern world. Canyon helps people to change identities, consider themselves experts in many areas, aim to be succeeding, do not feel deep affrication for subcultures.